It was thanks to his father’s penchant for organizing musical concerts in his family’s Berlin apartment on Sunday mornings that the 11-year-old Felix Mendelssohn began to compose quite a long series of string symphonies, and also that the works were initially performed. The study of music and composition spurred the young composer on greatly; his diligence as well as his youthful creativity developed early, and he made astonishing progress. In 1821, he wrote the first half of his string symphonies, which together took less than two years to complete. During performances that formed part of the concerts at home he took over the direction of the chamber orchestra, which consisted of amateur and professional musicians from the Berlin court orchestra. The form and instrumentation of the first six of his twelve symphonies are modelled after Carl Philipp Emanuel Bach’s “Hamburg Symphonies”: they are in three-movement form (as opposed to four, which would become the later symphonic norm) and were written exclusively for string instruments. These works were almost devoid of any style copies – Mendelssohn generally experimented quite freely with his chosen models. At around the same time (1821/22), for his violin teacher and close friend Eduard Rietz, the 13-year-old composed a first concerto for violin and string orchestra; he probably played it at the “Sunday concerts” in the Mendelssohn household. Formally it owes much to the concertos of Johann Sebastian Bach, but it clearly sounds like Mendelssohn. 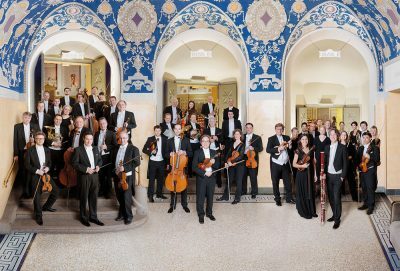 Ever since the rediscovery of their manuscripts, which were long believed to have been lost, Mendelssohn’s early works have been a fixed part of the string and chamber orchestra repertoire. In the youthful freshness and carefreeness of these early works, one can already hear echoes of the instrumental masterpieces by this important symphonic composer of early Romanticism that were soon to follow. This CD from BR-KLASSIK combines Mendelssohn’s early violin concerto with the first six of his string symphonies in the form of studio recordings made by the Münchner Rundfunkorchester under its leader Henry Raudales, a violinist who has won several awards and has made numerous recordings with the orchestra as a conductor and as a soloist.